Starting operations in December 2017, Bank of China Turkey is willing to act as the financial bridge to introduce many more Chinese investments to Turkey, the bank's General Manager Ruojie Li said. Since the establishment of diplomatic relations in 1971, Turkey and China have been following a course to develop their political and economic ties, which have been reinforced by the close commercial and economic cooperation in recent years. While the two countries have reached $27 billion in bilateral trade following years of joint efforts, Chinese investments in Turkey have expanded in many industries such as infrastructure, energy, transportation, telecommunication, technology and finance. The firm commitment of both countries to the Belt and Road initiative, a massive project launched by Chinese President Xi Jinping in 2013 to jointly build the Silk Road Economic Belt and the 21st Century Maritime Silk Road and connect China to Central Asian and European countries via a wide transportation network, has fired up bilateral investments in Turkey's industries. One of the last examples of such investments is the foundation of the Bank of China Turkey A.Ş., which pledges to act as a bridge to facilitate more Chinese investments, especially in energy and infrastructure. 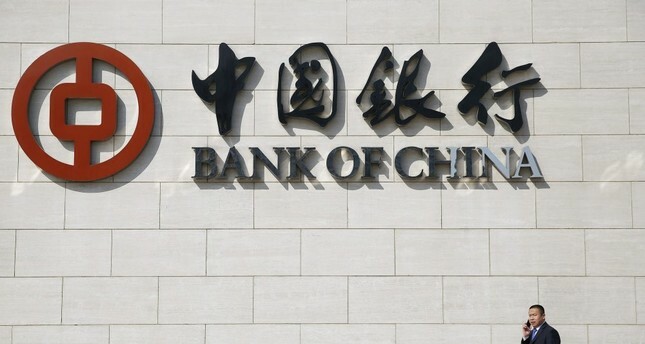 Having already proven its dedication to the Belt and Road initiative at home and abroad by way of bond issuance and allocating an immense amount of funds designed for this multibillion-dollar project, the Bank of China has been expanding its overseas operations to finance projects complementary to the Belt and Road initiative. One of the world's largest financial institutions, it was the first Chinese bank to enter the Turkish market when it established a representative office in Istanbul in 2011, and acquired the banking license in early December. It secured permission to operate in the country with $300 million of founding capital in 2016. From 2011 to 2016, the bank had contributed to financing projects with local partners. "Even before getting operation permission, Bank of China group members managed to finance local projects and corporate customers with banking credit facilities over $2.5 billion in the aggregated amount," Bank of China Turkey A.Ş. General Manager Ruojie Li told Daily Sabah. The also bank got its operational license in Turkey, the Bank of China Group inked a 200 million euro loan deal with Türk Telekom, showing its commitment to continuous work with local corporate partners. Explaining the bank's operational strategy, Li said that it has adopted a strategy currently geared toward corporate banking while prospective clients include top local corporations, cross-border corporations, especially with China and their subsidiaries in Turkey, and local financial Institutions. Regarding the bank's cooperation with local financial institutions and citing present partnerships, Li cited the administration's willingness to cooperate with the Turkish banks rather than see them as competitors. "The Bank of China group already has established relationships with Turkish banks and we will be working to strengthen these ties," he added that the business development plan of the Bank of China Turkey A.Ş. aims to bring unique factors in the local banking industry and makethe industry much more diversified and dynamic. Recalling that Turkey and China agreed to increase bilateral trade to $100 billion during talks between President Recep Tayyip Erdoğan and Xi in 2015, Li said that the improvement of bilateral political and diplomatic ties will facilitate more partnership projects between Turkish and Chinese companies. In regard to strengthening ties between the two countries, the Bank of China Turkey is expecting much a higher trade volume and more mutual investments, Li said. "As the largest Chinese financier to the One Belt One Road initiative and the largest trade finance provider in the world, the subsidiary's business will definitely boost the economic relationship between the two countries, especially exports from Turkey to China and get its benefits." When asked about the Turkish-Chinese partnership in the Belt and Road initiative, Li said that Turkey is an important country for the project and the country is willing to support infrastructural investments, including energy, telecommunications, rail and ports in the countries that are part of the project. "The bank is optimistic on the prospective of the bilateral economic relationship between Turkey and China. The Bank of China is willing to act as the financial bridge to introduce much more Chinese investment to Turkey," Li said. He added that Chinese firms with Turkish partners will take on these projects either as investors or contractors and the bank will be involved as the financing partner. "With banking business infrastructure in 53 countries and regions, the Bank of China group will definitely have a much better chance to finance and serve Turkish entrepreneurs in their business developments around the world," he said. After the Chinese government's announcement of the Belt and Road initiative, Li said the Bank of China decided to invest and establish a subsidiary in Turkey. "Our main driver is to support trade between the two countries while contributing to the realization of China's One Belt One Road initiative and Turkey's Middle Corridor Plan," Li explained. As the Bank of China Group wants to position itself as a financial arterial for the Belt and Road Initiative, Li said the Bank of China Turkey A.Ş. - a wholly owned subsidiary of Bank of China Ltd. - will continuously identify demand and finance eligible large-ticket projects in Turkey, particularly in energy and infrastructure by utilizing the Bank of China's global network and financial strength. "Basically, we are aiming to provide financial services that create excellent values for our customers and shareholders by strengthening the financial cooperation between Turkey and China." Li said the bank believes that more and more Chinese firms will invest in Turkey because the country is located on one of the most strategic routes of the Belt and Road initiative. "The Turkish economy is dynamic and has continuously expanded in the recent decade. Debt to gross domestic product ratio is quite low compared to some other countries and the financial system in the country is very strong. We have seen that the Turkish economy and its players are quite resilient to shocks and there is real production and economic activity here," Li said. The Turkish market acted as a significant trigger prompting the global giant to enter Turkish market. Despite fluctuations in recent years, he said, the bank believes the domestic consumption potential of the large population as well as continuous economic reform will support economic growth. Citing the bank's global operations as a long-term investor, Li said it is hailing Turkey's efforts to raise long-term foreign direct investment to the country. He said the Bank of China Turkey A.Ş. should keep increasing its management capability and business development for a better performance in Turkey due to the competitive banking sector in the country and strict regulations and supervisions. In December 2016, the Bank of China brought in initial capital of $300 million and registered the company in 2017. After completing operational preparations, the bank applied for an operational license to Turkey's Banking Regulation and Supervision Authority watchdog and secured the license in December. Established in 1912, the bank operated as the central bank of China from 1912 to 1949. After 1949, the bank became responsible for managing China's foreign exchange operations and provided vital support to the nation's foreign trade development and economic infrastructure by its offering of international trade settlements, overseas fund transfers and other non-trade foreign exchange services. In 1994, the bank was transformed into a wholly state-owned commercial bank. In August 2004, Bank of China Ltd. was incorporated and listed on the Hong Kong Stock Exchange and the Shanghai Stock Exchange in June and July 2006, respectively, becoming the first Chinese commercial bank to launch an A-share and H-share initial public offering and achieve a dual listing in both markets.